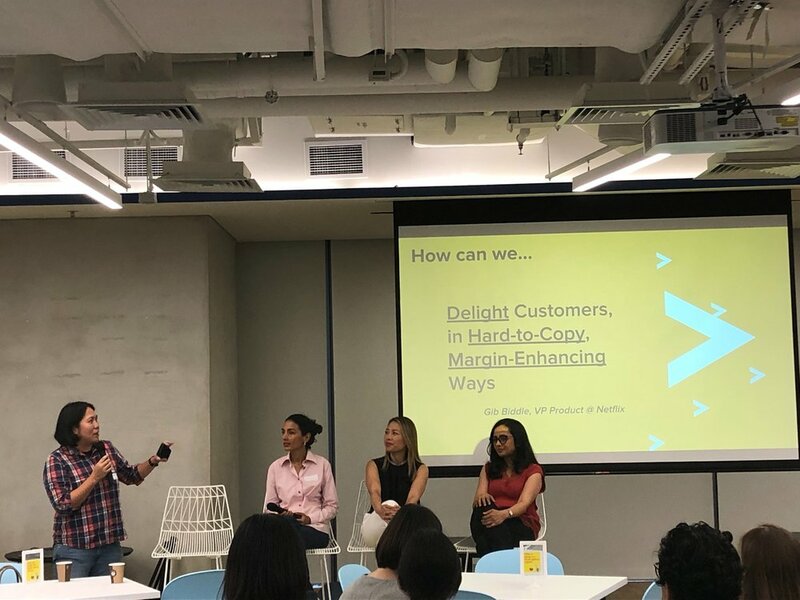 Last night, I had the privilege of moderating a panel of hosted by Women in Product, where we explored what product management was to our panelists, as well as perspectives on growth, metrics, localisation and careers. It was a broad-ranging conversation, appropriate given the wide range of experiences of our panelists. We probably could have spent 30 minutes on each topic alone! I shared the definition of product management that I like best, shamelessly pilfered from Gib Biddle, fr VP Product @ Netflix, who I worked with at NerdWallet. Delight customers, in hard to copy, margin-enhancing ways. Customer delight and customer centricity is often cited as a key value of a business, yet we see a ton of products that are shipped that almost seem dis-interested in the end user experience. Yet delight alone does not make a great business, and at the end of the day, if you create an amazing product, that no one is willing to pay for, or that is easily replicable, I would consider that a failure of product management. Reshmi Roy of Skyscanner shared her experiences on how to incubate new markets when working for a global business, and the challenges of dealing with a centralized product team, when localisation is required, be it from a product feature or channel perspective. The call out of channel is particularly apt, because first-time PMs and founders often focus on product and neglect distribution. Anna Gong of Perx shared the challenges of pivoting Perx from a B2C to a B2B business. It’s nice example to of founder-market fit, given Anna’s past experiences in Enterprise sales and business development, she was able to see that the core rewards/loyalty platform they had built was much more valuable to enterprises with large customer bases, legacy systems, and no vendors, than their initial SME market. Radhika Dutt emphasised the importance of being true to one’s product vision, and the dangers of being entranced by metrics that are not appropriate to the stage of product development you may be in. Turnout was fantastic, ~100 women and men in the audience. It skewed towards folks wanting to get into the discipline, which I see as a great sign for the vibrance of the region. Props to Christine Sou and Deepika Murthy (Singapore chapter leads) for pulling this together. After nearly 6 years building NerdWallet, I left at the end of March to move back to my home country, Singapore. It's been nearly 18 years since I first arrived in the US to start university at Stanford. I never imagined I would be here so long, and now it's time to begin navigating my return. My American friends: "What a great adventure! Is this forever? Can we come too?" My Singaporean friends: "Huh? Why you come home? California is so nice"
Singaporean civil servants: "Good, nice to have Singaporeans come home"
My process: I've been spending the last 5 months traveling in the region, Singapore, Indonesia, Vietnam, Myanmar, meeting entrepreneurs and investors, trying to build a mental model of what I think is exciting and fun to do, and where I can be of service. I was basically choosing between a) joining a company, b) starting a business, and c) raising a fund. 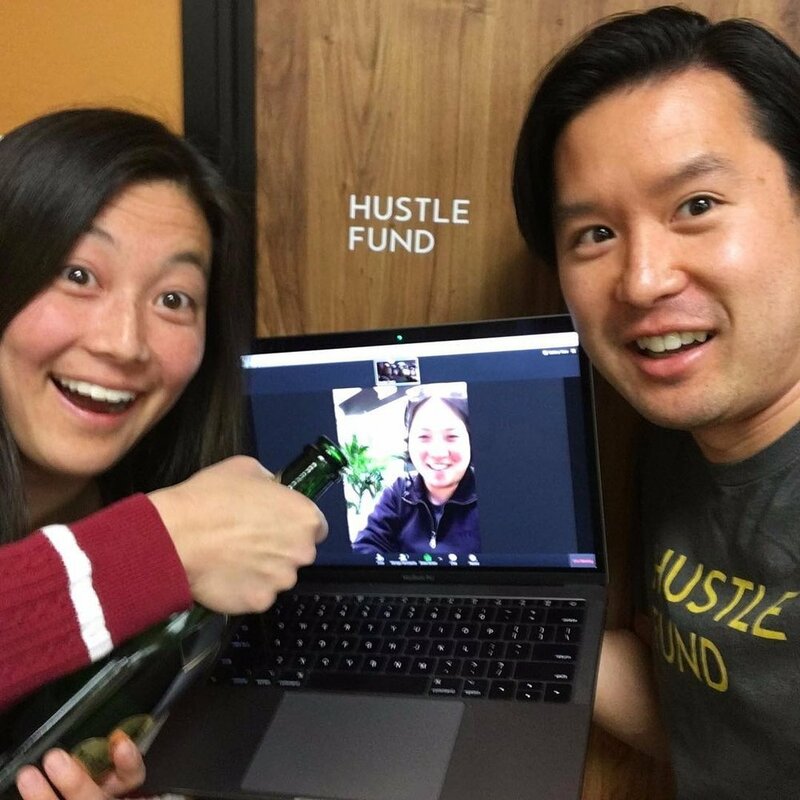 After over 100+ conversations, I finally decided to join two of my oldest friends, Elizabeth Yin and Eric Bahn at their new pre-seed fund, Hustle Fund. More on that decision in my next blog post! "Wouldn't it be great if we could all be neighbor with our best friends? We could come home from work, trade stories over a glass of wine while watching our kids play together?" This is the vision I tried to sell my college friends after we graduated, because once we scattered to the far-flung corners of the world, or let's face it, once some people moved to the East Bay, it became increasingly difficult to get together on a consistent basis. With every additional child, the logistical coordination burden becomes even more overhead. Which means you see each other a few times a year even though you may leave geographically not that far from one another. With Amanhapa* we have the privilege of living with two wonderful friends with whom we share a garden, a garage, a laundry room but also so much more! We have impromptu cocktail hours, dinner parties and long walks with dogs. We get the wonderful intersection of shared friends being able to run into all four of us, our house as a natural meeting point for others coming into town and the real feel of an intentional community being built. When we first embarked on this project, folks were fairly skeptical; but I think over the years we've won people over with shared meals in the garden, lively parties and of course generous pours of wine. *See hapa residents for full story.